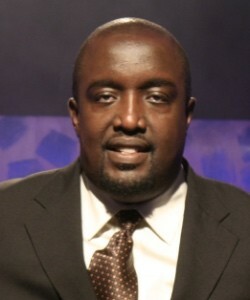 Alan Kasujja joined the presenting team on BBC World Service’s Newsday radio programme. He previously hosted Capital Radio’s Big Breakfast in Kampala and presented The Fourth Estate debate Programme and Who Wants to be a Millionaire? on Ugandan Television. Alan now lines up alongside Bola Mosuro, Julian Keane, Paul Bakibinga, Lawrence Pollard and Nuala McGovern in London, and Lerato Mbele in Johannesburg. Mr. Kasujja has been part of Uganda’s media industry since his late teens when he joined The New Vision as a freelance writer and photographer. He studied law at Makerere University and speaks (or has a good understanding of) many East African dialects.